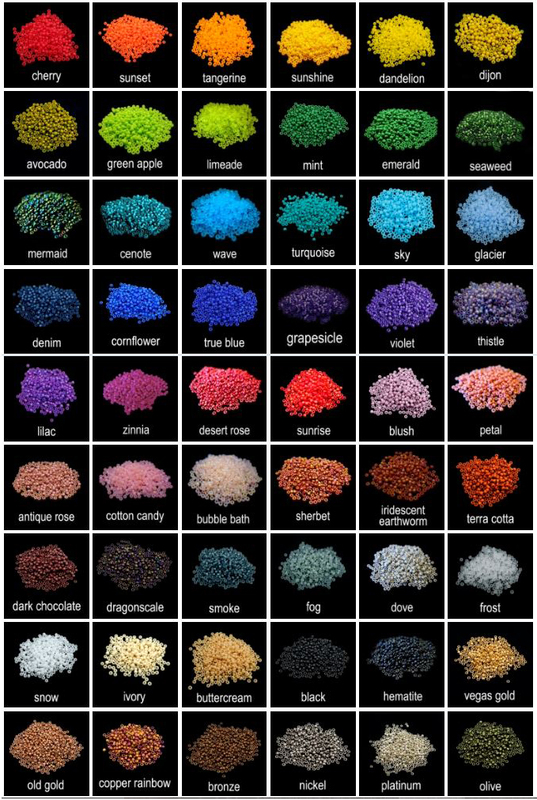 What is your color story, or idea for your design? Do you have an image that you would like to share with me? Maybe these will help you. With your color story and measurement, I will create a magical and special bracelet, anklet, or necklace just for you! Other than the length, are there any other changes to this design? 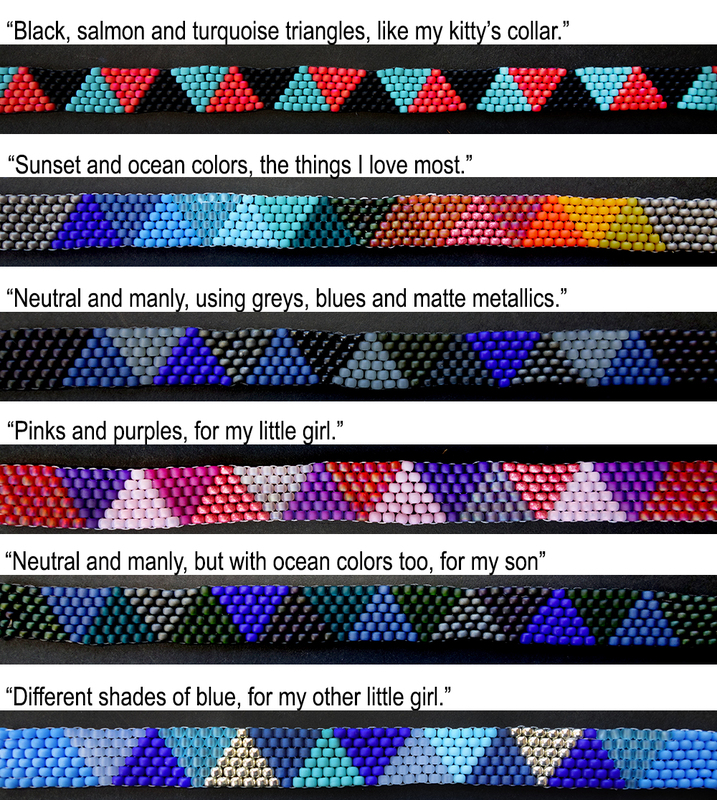 Which color would you like the band to be? How many triangles would you like? I just need your name, email and address so I know who to send this to. Do you have any other questions, requests, or comments? Once you hit the button below, I'll receive your design request for this particular piece. If you would like to order more, fill out the questionnaire for each individual design. You can pay for the bracelet(s) together when you are finished in the "pay" link. 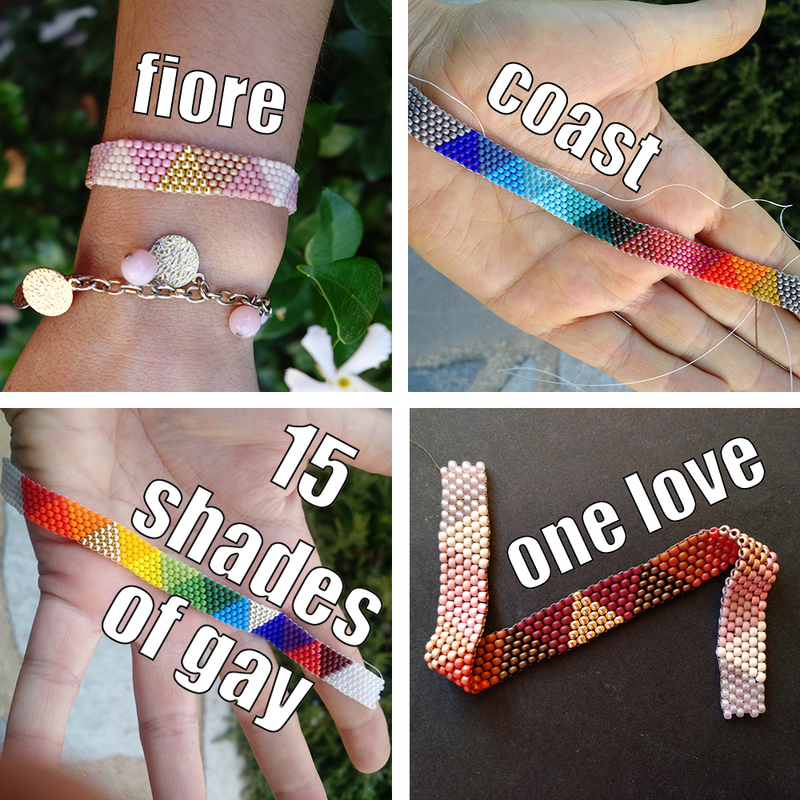 Once I receive payment and a design request, I'll get started on your forever bracelet!